RIDGEFIELD, Conn. and INDIANAPOLIS, July 19, 2018 /PRNewswire/ -- CARMELINA® (CArdiovascular safety and Renal Microvascular outcomE with LINAgliptin in patients with type 2 diabetes at high vascular risk) met its primary endpoint, defined as time to first occurrence of cardiovascular death, non-fatal myocardial infarction or non-fatal stroke (3-point MACE), with Tradjenta® demonstrating similar cardiovascular safety compared with placebo. 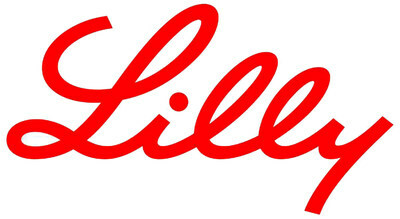 Boehringer Ingelheim and Eli Lilly and Company (NYSE: LLY) announced the positive top-line results from the trial, which evaluated the impact of treatment with Tradjenta compared with placebo on cardiovascular safety on top of standard of care. "About half of patients with type 2 diabetes worldwide also have chronic kidney disease, and the majority of deaths among people with kidney disease occur as a result of cardiovascular complications," said Thomas Seck, M.D., senior vice president, Medicine and Regulatory Affairs, Boehringer Ingelheim Pharmaceuticals, Inc. "These CARMELINA data add important information regarding the long-term clinical safety of Tradjenta in a patient population that is particularly vulnerable to poor cardiovascular outcomes." "Tradjenta demonstrated cardiovascular safety in adults with type 2 diabetes and high vascular risk, with no need for dose adjustments regardless of kidney function," added Jeff Emmick, M.D., Ph.D., vice president, Product Development, Lilly Diabetes. "CARMELINA provides confidence in Tradjenta as an effective and well-tolerated treatment, with a simple dosing regimen, for adults with type 2 diabetes." The full results of CARMELINA will be presented on Oct. 4 at the 54thEuropean Association for the Study of Diabetes Annual Meeting in Berlin. CARMELINA is one of two cardiovascular outcome trials with the DPP-4 inhibitor Tradjenta. CAROLINA®, will be the first DPP-4 inhibitor cardiovascular outcome trial to compare commonly used second line treatments — Tradjenta and the sulfonylurea glimepiride. This trial includes adults with type 2 diabetes at increased cardiovascular risk, however, the majority did not yet have heart and kidney disease. The study is expected to complete in 2018. CARMELINA and CAROLINA will provide the most comprehensive clinical database on the long-term safety profile of a DPP-4-inhibitor in a broad range of adults with type 2 diabetes. Tradjenta® and CARMELINA® are registered trademarks of Boehringer Ingelheim.